Two high schools on opposite sides of Finland have worked together since 2005. Teachers say the cooperation has improved learning. Mustasaari and Suomussalmi upper secondary schools have collaborated for 13 years, leading to a decrease in prejudiced behaviour and an increase in language learning, according to school officials. Mustasaari is a predominantly Swedish-speaking municipality right on Finland's western coast, while the Suomussalmi school is on the eastern border in mainly Finnish-speaking Kainuu. Bridging the geographical and linguistic distance has done wonders for hundreds of students, according to teachers and students alike. 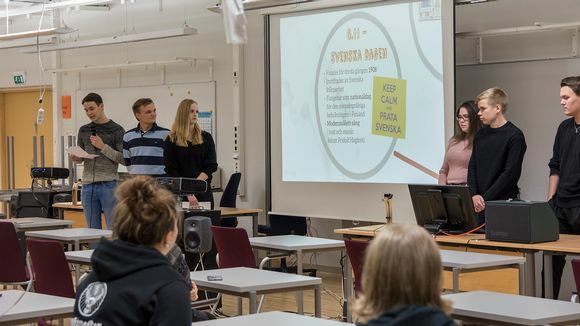 The inter-school collaboration has boosted the proportion of Swedish-speakers who matriculate Finnish-language studies as well, and vice versa. "My high school is totally Swedish-speaking, but I sometimes miss the Finnish language because I'm bilingual," says final-year Mustasaari high school student Rasmus Kupi. "School is much more interesting for me this way." "I've always been interested in Swedish, but it's even more interesting now," student Tiia Väisänen from the high school in Suomussalmi chimes in. The teenagers don't just sit in classrooms. Both high schools have sent their students to and fro to learn about the local culture and nature: teens from the west have visited the Hossa national park in Suomussalmi, while highschoolers from the east have gone trekking and canoeing in the Mustasaari archipelago as part of their cooperation. The trips are made possible by grants provided by the Swedish Cultural Foundation of Finland. Ever since teachers Heikki Nilkku and Terho Jalkanen realised they could combine their resources back in 2005, students have been treated to many different types of events and visits. "We collaborate in many different ways," says Nilkku. "We also have a friendship school in Russia, and we've visited numerous national parks." 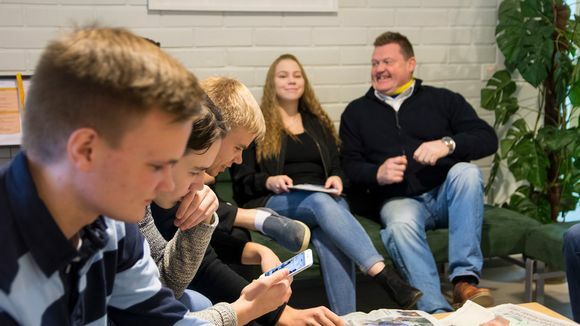 While the rest of Finland is grappling with a sharp downturn in Swedish language learning, the Suomussalmi high school in monolingually Finnish Kainuu has seen a rare uptick. More than half of the school's students matriculate Swedish, which is non-compulsory. "Being a Finnish Swede is very unusual in Kainuu. But when speakers of these languages come together, it's easy to see that we are all part of the same nation. Prejudices have fallen away," Nilkku says. The same has happened on the coast. "Our main mission is to provide information and knowledge about diverse Finnish culture, language and identity," principal Jalkanen from Mustasaari says. "Students have the opportunity to matriculate both domestic official languages, which is a huge benefit in the job market, in all the Nordic countries." Not only that, but students cite making new friends from across language barriers as one of the biggest pros of the collaboration.